Below is offered help for slightly shorter itineraries. Those taking even shorter trips, or with very different arrival days, will be best served by looking at the closest itinerary I have for the essential matters, and then adapting to it the one and tw0 day touring plans you will find in my book. Ask me for help using the comment form below. Going to WDW 2/7-2/14/2013 (Th-Th); itinerary suggestions pls sir? We will be staying at AoA from May 17-24, 2014 and using 4 day military passes. We have three girls, ages 7, 5 and 3. I’m trying to use your itineraries as a basis for my own, but with only 4 day park passes, we are going to have to utilize one day at each park. I notice most of your itineraries have multiple visits to MK and EPCOT, which I think would be ideal but with only four days, how do you recommend planning with only one day at each park? Should we base it off your 5 or 6 night itinerary even though we will be there for 7? We are thinking of skipping the “hopper” option in order to add 2 days at the waterparks to our military pass for the same price. Just wondering what your recommendation would be. Those dates, avoid MK the 18th, 19th and 22; avoid HS the 17th, 18th, 19th, 21st, 23rd and 24th, and avoid AK the 17th, 19th, and 24th. You don’t need a hopper–the water park option will be a better use of money! We will be arriving Aug 16, 2014 and staying for 6 nights, leaving Friday afternoon. Do you recommend your 6 night itinerary arriving Monday and just switching the days or should I use your 7 day and not do the second Saturday. We have 2 adults and 3 teens. We are planning a trip arriving 1 am on Nov. 8, leaving 6pm on Nov. 11 so we only have 3 and a half day at the park. Two boys 8 & 12, one girl 5. We probably will split some time for the boys and the girl as they will have different interest. Do you have any suggestions re what to do together? What are the must during this short trip? Bao, for the must-dos, see this: https://yourfirstvisit.net/2011/03/09/the-comprehensive-guide-to-walt-disney-world-rides-and-attractions/ At those ages you want a Magic Kingdom-focused trip–at least two days there. AK works well for your departure day as it has no evening program anyway. If the kids like thrill rides HS is the next best park choice. Hi Dave. I’m taking my 12 year old daughter to WDW for 6 nights arriving 3/28/15. I see an 8 day itinerary for that week and shorter itineraries for lower crowd times. Is there one appropriate for higher crowds? We’re staying off-site. Thanks! Your site is awesome! As a first-time visitor, I am learning a lot. What can you suggest for a variation of your high-crowd itinerary….I am looking for a high-crowd, 7 night, arriving on Sunday for the week of March 20, 2016. Amy, how old are your kids? Our daughter will be 9 by March and our son 16. I absolutly love this site!! I am planning a trip for August of 2017 (arriving on either Sunday the 20th, or the next week, 27th) and I looked for a short itinerary for the summer days, but cannot find one. We plan to stay at the RV park in Fort Wilderness and check out the following Saturday (6 night stay). Am i just not finding it?? Please help me out!! Eric, I don’t have one on this site, but you can build one from the one and two day plans for each park in our book. Hi,I would appreciate any assistance that you could provide me with in regards to our trip itinerary. We are booked for our trip from Aug 20 to Aug 31. It will be myself, my husband, and our two girls aged 7 and 5. We will be staying in the All Star Movies Resort. Also we will have the deluxe dining Plan and 1o theme park days. We want a couple rest days thrown in between the park days but we also want to hit all the best character dining and signature dining as well. Any tips you can give on planning dining and park days to get the most out of our trip? Thanks for your help. Caitlin, for your itinerary I will be able to help, but only after Disney’s calendar for then is out. Right now it’s out only through July 31, and it adds a day each day that passes. So ping me back in a month? On dining, I suggest you look through the chapter on dining and all of itds reviews in my book. My husband and I are taking our 7 (almost 8) year old daughter and 1 year old son to MK on June 20. We will only have one day at the park. How could we make the most of this day, especially given the ages of our kids? My daughter and I will be taking advantage of extra magic hours that night from 10pm-12am. Thank you for your help. Hi Kristin, I’d ignore the one year old in planning (other than using child-swap now and then) and focus on the 8 year old. I don’t have one day MK plans on this site, but you can find them in my book (where child swap is also explained). What a great site! We’re looking at the 23rd of September 2018 for about 5 to 6 days. Which itinerary should we use? Can you recommend a good clean and cheap hotel close to the parks? We’re a family of 5. Hi MrsBig and thanks! I don’t have itineraries that short on this site. 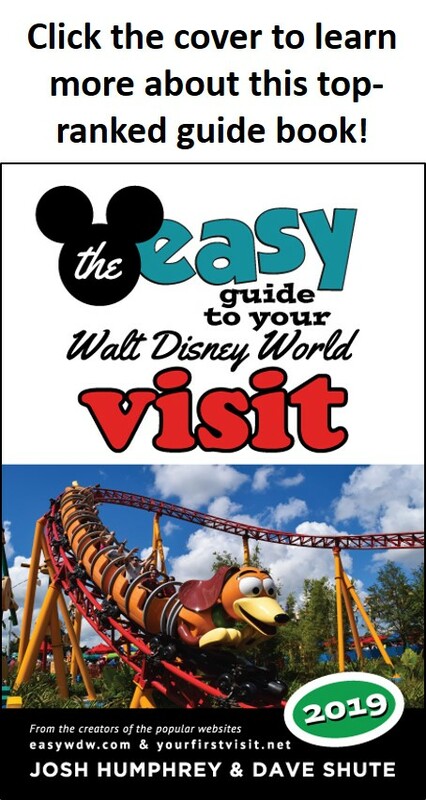 I suggest you use this page to target days per park, and then use the one and two day per park touring plans you can find in my book. Hi Andrea, yeah, kindles can be harder than they need to be. The plans are all in the “Cheat Sheets,” which are at the end of Chapter 6. One way to get to them is to hit your “GO TO” button, select “Beginning,” then page back (tapping the left side) into the table of contents, where after a few pages you’ll find links to the Cheat Sheets. Note, however, that the HS stuff does not yet include Toy Story Land. We will be publishing an update soon that will include it, so be sure to send read the bit at the end of “Introduction” that tells you how to get your update! Got it, thanks so much! I needed to reduce the font size on the kindle to properly see it (funky links were showing up…). Posting this in hopes it this extra tip may help someone else. I will for sure reach out for the updates; thanks again! First off your site is amazing and your book will be making the trip with us. Apologies if jumping the gun here and/or posting in the wrong page. I’m trying to plan ahead for our trip to Disney 5/8/19-5/14/19 (Wed-Tues). We will have a 10 year old and a 3 year old with us staying at Wilderness Lodge. Is there an itinerary you’d recommend I reference? Also, given travel times and not wanting to wear out the 3 year old we are considering not going to the parks on our arrival and departure dates and instead enjoying the resort those days (so 5 days at the park with two 1/2 days at the resort0. Is something you would suggest NOT doing or think is a bad idea? Hey Don, and thanks!! Disney’s calendar for then won’t be out for a month or so, so its too early for me to advise on those dates. With the new FastPass+ system–and the way tickets are priced after after 5 days–there’s a huge benefit to many partial days (whihc give you more pre-booked FP+) rather than a smaller number of longer days. So in fact I would do a seven day ticket, aiming to have most days be half or 2/3 days (if 2/3, it often works well for later-closing parks to take the middle of the day off). We decided on a whim to shorten our vacation at Universal and bring the kids (9 and 11) to Disney for two days 4/14 through 4/17 (leaving early in morning). Was this foolish? I can still change back to Universal for the whole week. Am I too late to plan anything? Can I still get dinner reservations? What have I gotten myself into! We’ve never been and I assumed booking flight, hotel and park tickets would be it! We are staying at Animal Kingdom. Should we do just two parks (Animal Kingdom and Magic Kingdom)? Thanks for any suggestions! So, Mirela, that’s one of the four busiest weeks of 2019, so to make it work you need really good plans and a certain indifference to the mobs that will be around you. You still have a couple of weeks to plan for your FastPass+ at 60 days, but the most popular table-service dining will be hard to get. Frankly, given the cost of two day tickets then, I would keep the money, and return to WDW during a less crowded period when you can stay longer. If you do decide to go then, my book has one and two day itineraries for each park.